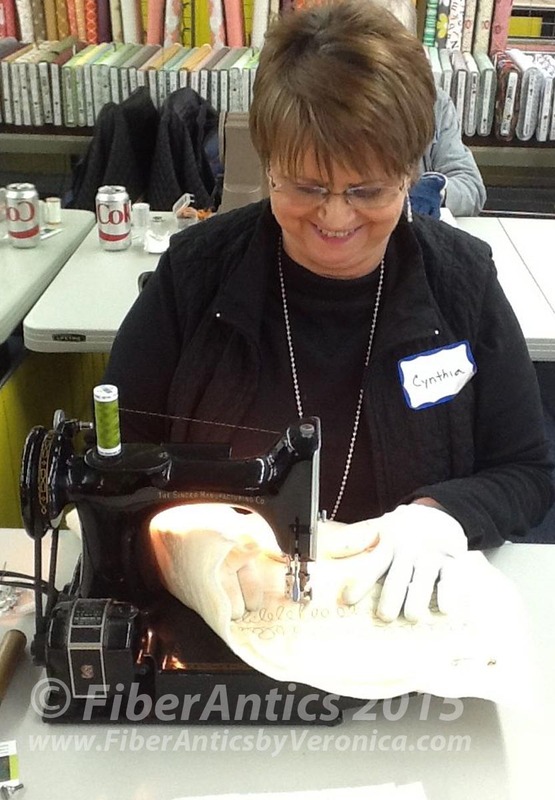 Whether inherited from a family member, a serendipitous yard sale find, or a sought out purchase, there are a lot of quilters and sewists using featherweights and vintage sewing machines for their quilting and sewing projects. You know, the non-computerized, only-does-a-straight-stitch, single-hole-throat-plate kind of machine. Believe it or not, all the students in my last Intro to Free-motion Quilting on a domestic machine class brought an antique model Singer sewing machine to work with in class. Can you do free-motion quilting on these antique machines? Absolutley! If you think about it, free-motion quilting only requires a straight stitch... the needle goes down into the quilt sandwich and comes right back up. 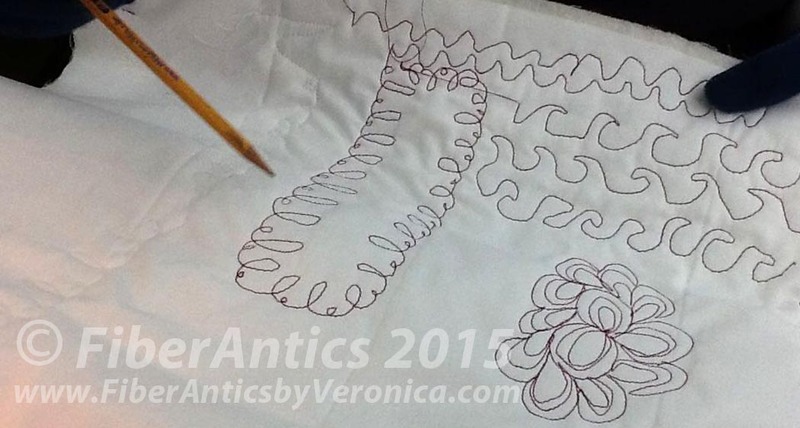 So, unless you are considering free-motion thread sketching, decorative stitch quilting using a zigzag stitch or other decorative stitches (like Karen Linduska) that require the needle to move left/right, the straight stitch is the stitch you want. These antique machines do a straight stitch beautifully. I don't know if it was the acoustics in the classroom, the fact that these were all-metal machines (no light-weight plastic bodies like our current computerized models), or that I was just enamored with these vintage little gems, but the sound of these vintage machines singing "free-motion a cappella" was fabulous! We also talked about and worked on free-motion feathers. This is a popular motif and almost always requested by the students in my free-motion classes. 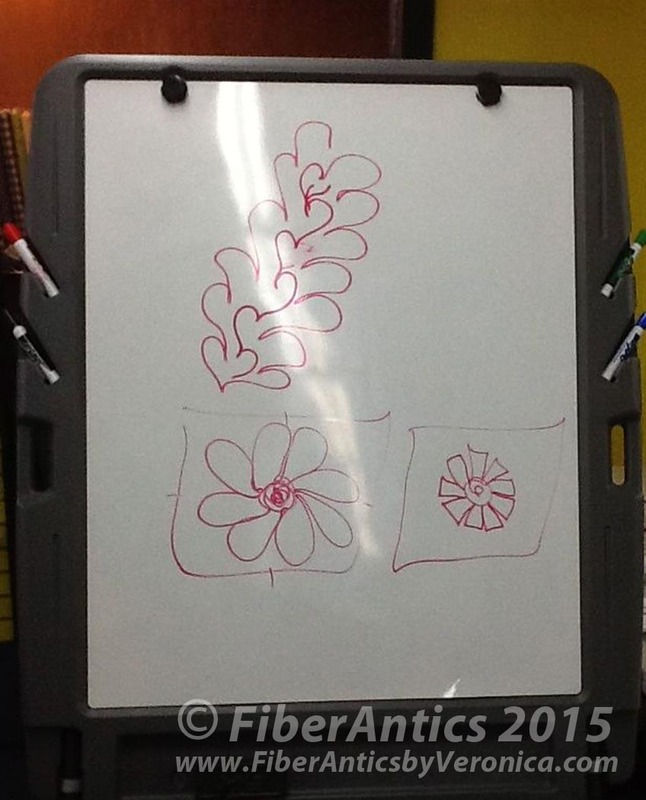 In Saturday's class, we had a bonus exchange of feather design ideas. Anna, the shop owner of Sew 'n So Quilt Shop, where the class was held, was interested in my approach to quilting feathers. 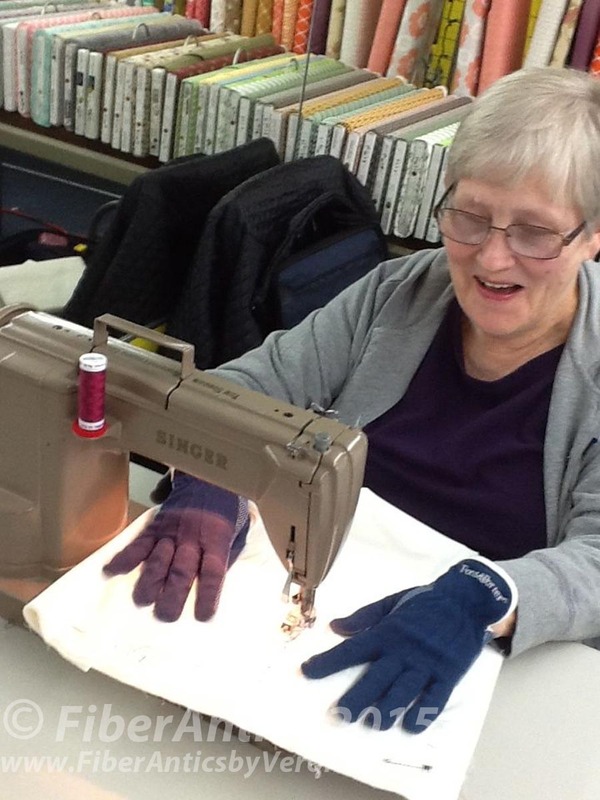 (Anna offers long-arm quilting services at her shop.) After I drew the feather that I recommend for beginners, I asked her to step up to the white board. So she drew a couple of her go-to feather designs for the students. How fab is that?? Drawing quilting motifs on the white board. One of the cool (and best!) things about quilting feathers—and any free-motion quilting design, for that matter—is that there are so many variations and no right or wrong way of doing them! (Remember, there are no quilt police, so you can do whatever you want.) Use the motifs and designs you like, the ones that fit your style of quilting, or those that complement the flavor of the quilt you're working on. And you can do this on an antique or vintage sewing machine if you like! Have fun… because that's what it's all about. Right?